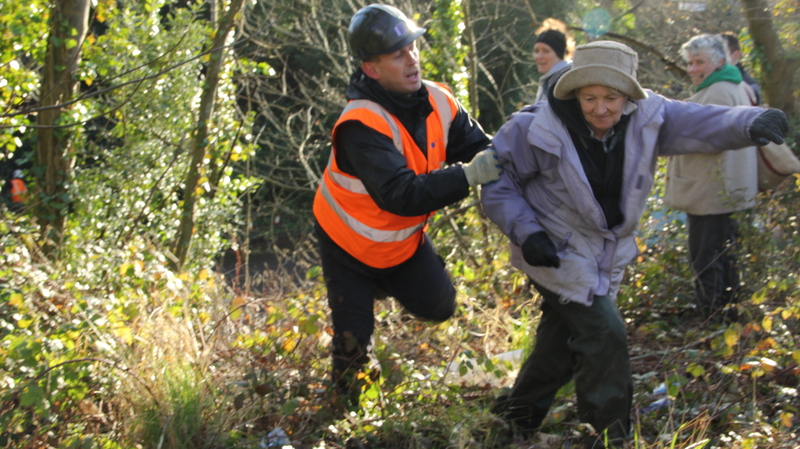 Tuesday 15 January 2013: A grandmother campaigning against the Bexhill-Hastings Link Road (BHLR) has been strip searched & pepper-sprayed by the police during protests against the Road, prompting activists to express concern over the behaviour of police & security during the eviction of the protest camps in Combe Haven valley. Police have told protesters that these evictions will take place this week . Other women, in their 60s, have been thrown to the ground by security guards, receiving head injuries. The peaceful protests against the BHLR – the “first and the worst” of over 190 road projects that George Osborne, big business and local councils are pushing across England and Wales  – have received significant national media coverage over the past week . When “Sally” did return to take part in the protests on 8 January, she was pepper-sprayed in the face by the police during the removal of a protester who had climbed up a telegraph pole. On 7 Jan, Denise, a woman in her 60s from Rye, was twice thrown to the ground by security guards, falling backwards and hitting her head, and had to visit a health centre afterwards because of the resulting headaches and stiff neck. 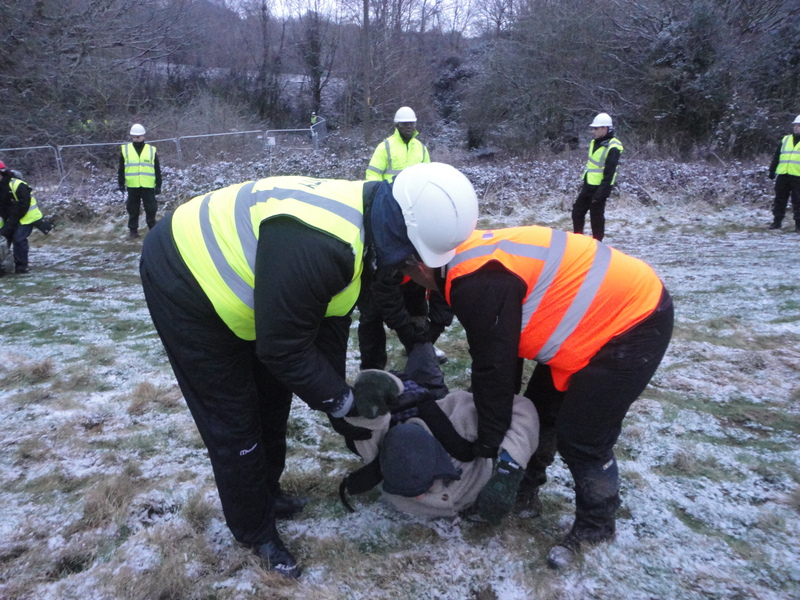 Interviewed by the Combe Haven Defenders, “Sally” explained that on the 15 December she had not actually been taking part in the protests (which involved a small number of people peacefully sitting in trees that contractors were attempting to fell), but only gone down to see what was happening.